Mosaic of the surface of Titan, stitched mainly from DISR Medium Resolution Imager (MRI) and supplemented by some High Resolution Imager (HRI) data. 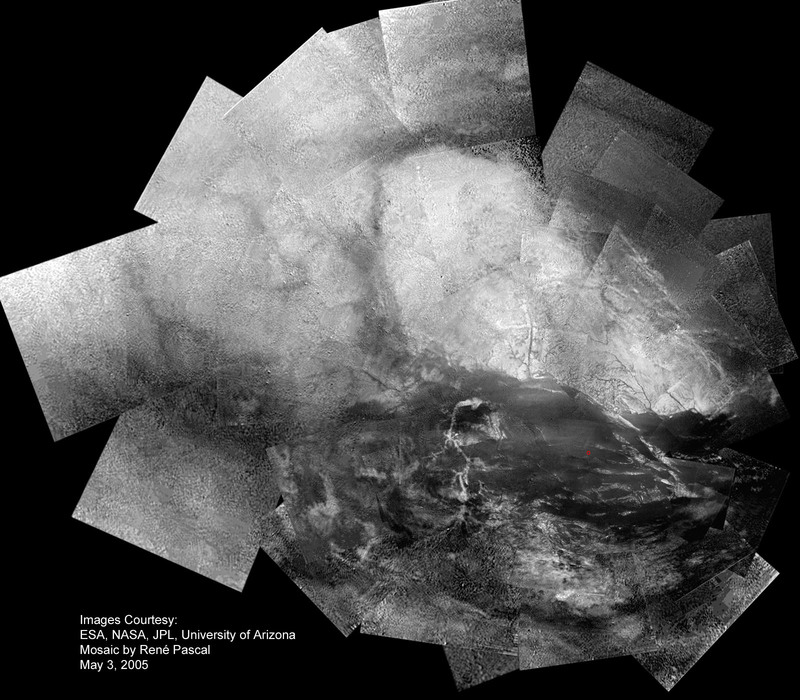 This is the third version of the Large Surface Coverage Mosaic. 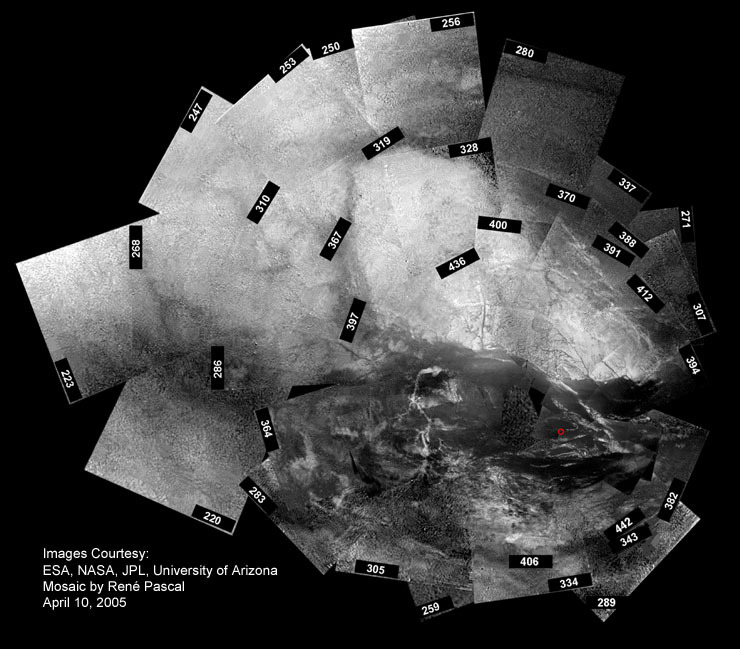 The voids at the center are filled now, and a close comparison of this mosaic with Huygens distant view for the "Huge Surface Coverage Mosaic" led to slight corrections at the top (especially frame 280). The red dot marks the landing site of Huygens, as calculated by the DISR Team and published recently on the DISR website. The mosaic with raw image labels below is still Version II. The labels show which frame was used in what location, so my positional arrangement and photometric representation may be checked for correctness. Please note: The area between the five o'clock and the seven o'clock position (seen with respect to the center of the mosaic, left of Huygens's landing site) is horizontally stretched by perhaps 15%. This was needed to close the mosaic without beginning again, because I slightly underestimated the necessary trapezium correction for the MRI images. This is still true for Version III.